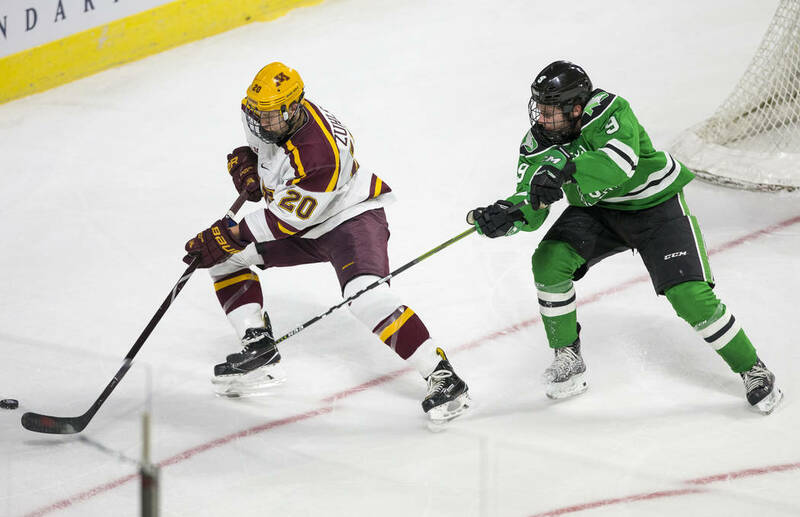 The Fighting Hawks edged the archrival Gophers 3-1 before a sellout crowd comprised of mostly North Dakota supporters on hand to support the de facto home team in the annual U.S. Hockey Hall of Fame game. An ocean of green enveloped Orleans Arena on Saturday night. Check that, an ocean of people dressed in green shirts and jerseys — a la the University of North Dakota and its 17th-ranked hockey team. They tailgated outside all afternoon before the annual U.S. Hockey Hall of Fame Game. They packed the stands, joining together to illuminate the venue with a greenish glow. 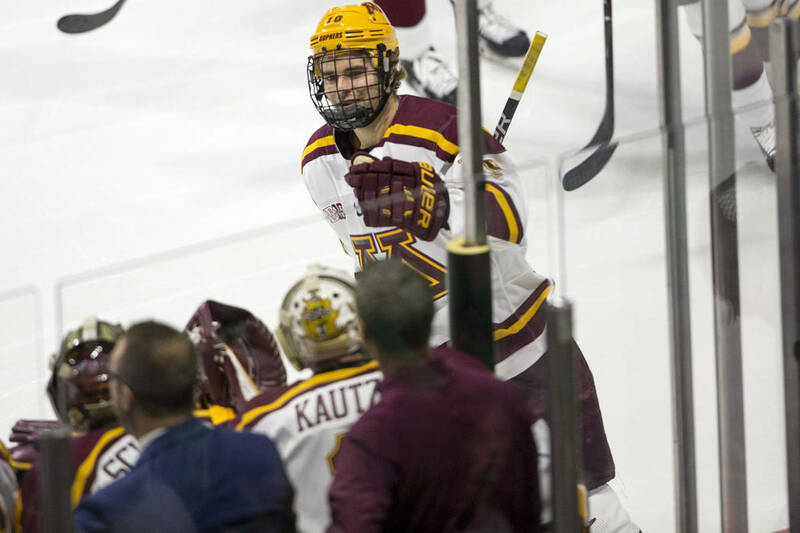 They showered the Fighting Hawks with their raucous, signature chants and cheers while rooting against the archrival Minnesota Gophers for the better part of 3½ hours. And when they heard the final horn sound at about 10:05 p.m., they were even louder in celebration of the victory they traveled so far to be a part of. 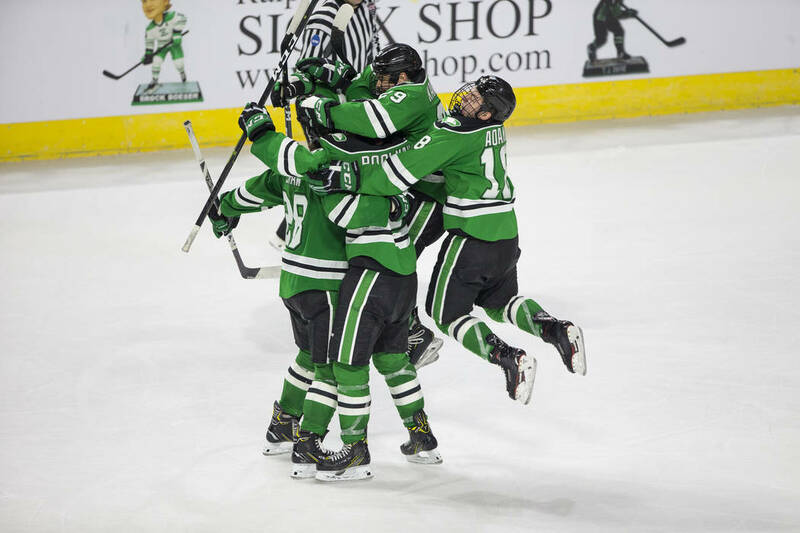 The Fighting Hawks edged the Gophers 3-1 before a sellout crowd comprised of North Dakota supporters on hand to support the de facto home team. Junior defenseman and team captain Colton Poolman scored two goals for North Dakota, including the game-winner from the slot 10:14 into the third period. Joel Janatuinen tacked on an empty-netter in the final minute. 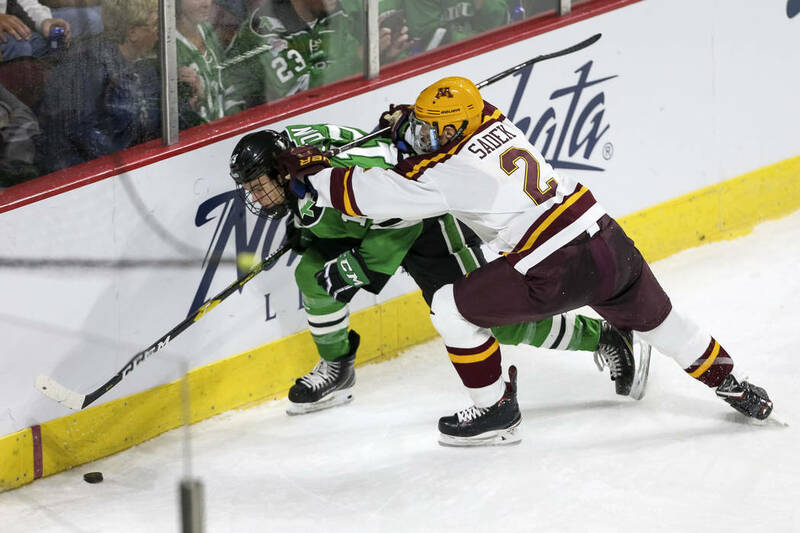 North Dakota and Minnesota, formerly of the Western Collegiate Hockey Association, have been playing for 70-plus years in one of the fiercest rivalries in college hockey. The old league disbanded in 2013, but the two continue to meet in nonconference play. Gophers forward Brent Gates turned a 5-on-3 edge into a 1-0 lead by converting from point-blank range 4:01 into the second period. 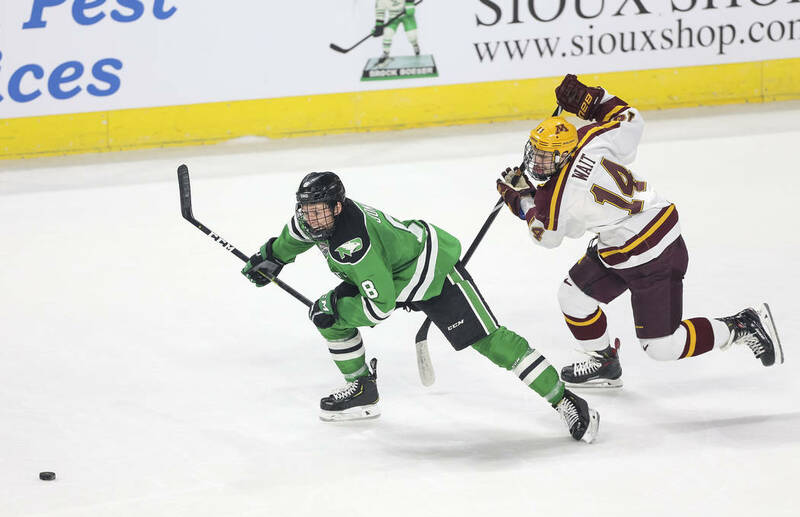 But the Fighting Hawks responded with Poolman’s first goal at the 14:11 mark — a strike from the top of the right circle. 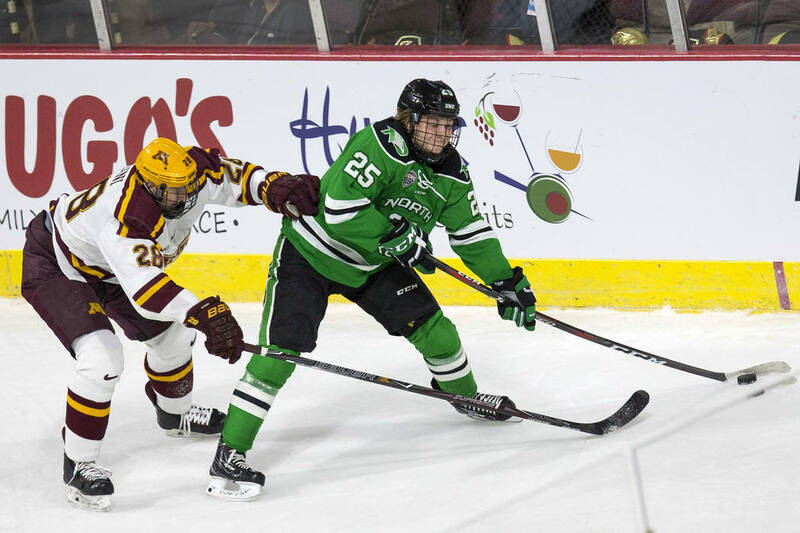 Minnesota pressured the Fighting Hawks in the second and third periods, but North Dakota’s defense stood tall against a powerful offense, holding the Gophers to 21 shots. And setting the stage for Poolman’s heroics.